Jewelry Making Kit for Ages 12 & Up. 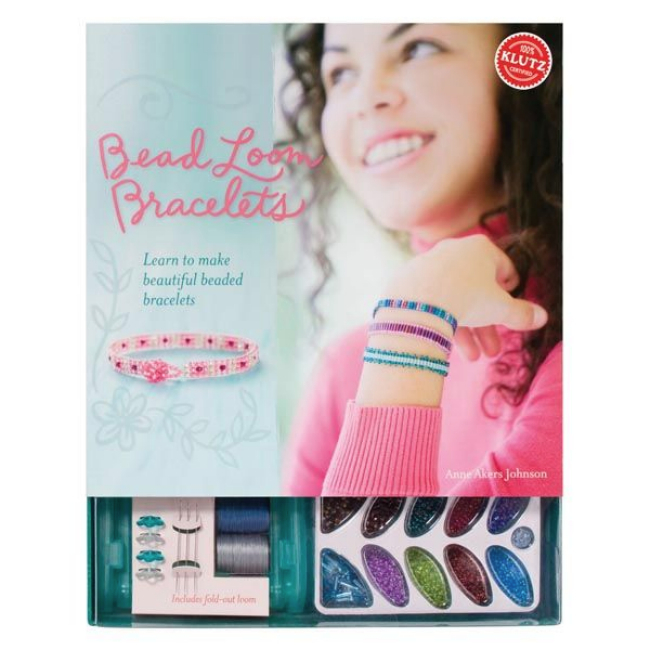 The Bead Loom Bracelets Kit is a creative jewelry making kit for teens from Klutz. 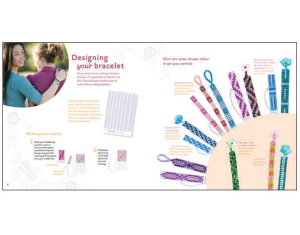 Kit includes a full-color instruction book, fold-out bead loom, jewel-tone beads, design sketch paper, beading needles and floss. 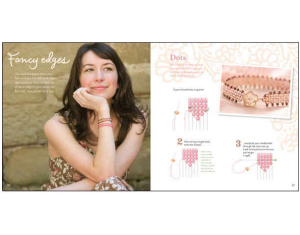 The 59-page book features detailed instructions and step-by-step illustrations for making beautiful beaded bracelets. 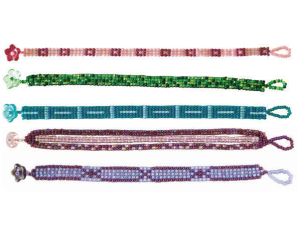 You'll have more than enough beads to make the seven different bracelets shown in the book. Seed beads, bugle beads, medium beads, and closure beads! The easy-to-use loom folds up for easy storage. This is a fun bracelet making kit for teens and adults to make boutique-quality beaded bracelets at home! Ages 12 & above. This kit is recommended for ages 12 and above.